Photo taken from an article on CNNtravel showing the Soneva Jani Resort, one of the most luxurious resorts in the Maldives, located on the water dispersed directly over the 26 coral reef atolls throughout the Maldive islands (Cripps 2017). It can be assumed that people who vacation to exotic islands and stay at luxury hotels typically go to experience the beauty of the natural island. However, a recently published new study indicates that in the Maldives, a chain of low-lying coral reefs located in the Indian Ocean popular with tourists for white sandy beaches and crystal clear blue waters, some luxury resorts are actually destroying the coral reefs that provide one of the biggest tourist attractions (Cowburn et al. 2018). Understanding the direct impacts from high volumes of tourists visiting these resorts situated on fragile ecosystems is critical for improving both coral reefs and the local tourist industry. Coral reef ecosystems are incredibly valuable resources but have suffered substantial population declines over the past several decades as a result of various disturbances including rising temperatures, acidification, and sedimentation (NOAA 2015). Coral reefs are home to thousands of species of fish and invertebrates, offer shoreline protection against storms, and contribute to the economy of many nations through tourism. Tourism is the largest source of income from coral reefs globally, and the aesthetic appeal of Maldives reefs ensure the they also provide the largest economic boost to the nation (Cowburn et al 2018). Although tourism has been proven (Gil et al. 2015) to be destructive to coral reef health, Cowburn et al. (2018) found that tourism offers a coral reef income generator with lower negative environmental impacts compared to other potential income sources such as coal mining and fishing. Tourism adjacent to coral reefs not only provides strong economic benefits but also increases awareness of coral reef ecosystems, resulting in an a rise of conservation support (Diedrich A. 2007). However, housing large populations of tourists with a luxurious lifestyle on such small islands can be a major threat to local coral reefs if not managed properly (Cowburn et al. 2018). Some examples of improper management include dredging beaches, poor sewage control, swimming pool drainage, boat cleanings, and increased nutrient levels deposits in the ocean (Cowburn et al. 2018). Connecting and reformatting the negative impacts to coral reefs with sources of improper resort management, could create a healthier marine ecosystem and in turn, a more appealing island for tourists. 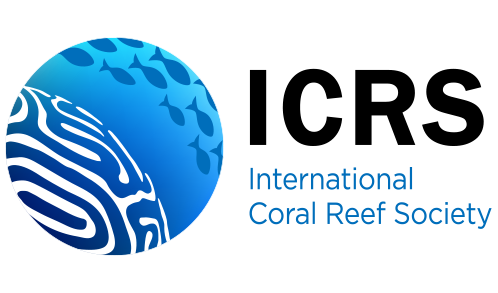 To gain an accurate look at how resorts directly impact coral reef health, Cowburn et al. (2018) studied seven resorts in the Maldives. The selected resorts are composed of individual huts built on the water located within atolls (ring shaped reefs) like seen in Image 1. For one year during 2013-2014, the researchers surveyed reefs on three atolls. They also collected information regarding the frequency and magnitude of resort sewage treatment plans, sand pumping for beach replenishment, cleaning and maintenance of boats, and dredging and construction on reefs at all three locations, to examine relationships between the reef community and these potential stressors (Coburn et al. 2018). Figure 1: Scatterplot of (A) percentage coral cover per each resorts age and (B) the percentage of big corals that were greater than 20 cm compared to each resorts age. Each shape and color represents a different resort within the islands studied in the Maldives, (Haa Alifu, Baa, and Ari). Graph taken from (Cowburn et al. 2018). Cowburn et al. (2018) found that the amount of live coral and the size of coral colonies increases with age of the resort (Figure 1). They also found that newer resorts that were improperly managed with high levels of construction and greater amounts of sedimentation and runoff—factors known to decrease coral growth and recruitment success. Results from Coburn et al. (2018) imply that the combination of construction and improper management of new resorts causes a negative impact on tourist-visited coral reefs in the Maldives. Although these findings may be discouraging, there is a large motivation for resorts to promote conservation efforts in order to maintain the natural beauty that is a major driver for their income (Coburn et al. 2018). Other resorts exist that have successfully adopted this view of management and created a positive impact on both the countries income and the marine ecosystem (Global Refuge System 2018). For example, Misool is an exclusive luxury resort in Raja Ampat, Indonesia located on one of the most pristine coral reefs in the coral triangle. Misools’ responsible tourism policy includes strict codes of conduct for visiting boats, waste management, and water treatments. The combination of conservation efforts, management practices, guest education, and community support have helped to increase numbers of tourists, total fish biomass in the area, and declined illegal fishing (Global Refuge System 2018). The surplus of benefits that have come from this resorts’ mode of operation provides an example for why other resorts should protect the marine environment surrounding them. With continued empirical research on this topic such as by Coburn et al. (2018), there is more knowledge on what is needed to make these improvements. Cowburn B, Moritz C, Birrell C, Grimsditch G, Abdulla A (2018) Can luxury and environmental sustainability co-exist? Assessing the environmental impact of resort tourism on coral reefs in the Maldives. Ocean & Coastal Management 158: 120-127. Cripps, Karla. “Inside One of the Maldives’ Most Luxurious Resorts.” CNN, Cable News Network, 14 Nov. 2017, www.cnn.com/travel/article/soneva-jani-maldives/index.html. Gil, Michael A., et al. “Rapid Tourism Growth and Declining Coral Reefs in Akumal, Mexico.” Marine Biology, no. 11, 2015, p. 2225. EBSCOhost, doi:10.1007/s00227-015-2748-z. US Department of Commerce, and National Oceanic and Atmospheric Administration. “Corals.” The Importance of Coral Reefs – Corals: NOAA’s National Ocean Service Education, June 2013, US Department of Commerce, and National Oceanic and Atmospheric Administration. “How Does Climate Change Affect Coral Reefs?” NOAA’s National Ocean Service, 3 Mar. 2015, oceanservice.noaa.gov/facts/coralreef-climate.html. Previous What is Ocean Acidification Really Doing to Coral Reefs?